Running a total of 15 marathons and 3 ultramrathons. Qualifying for, and running the Boston Marathon. 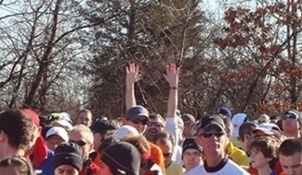 Running the JFK 50-miler, a race as old as I am. Finishing the Inaugarural Fenway Park marathon. Meeting some amazing people, many who have become not just friends, but people I rely upon for guidance and inspiration. Unfortunately, genetics caught up with me, and a team of doctors have recommended that I end my running career. Below are the stories and photos about the races I've completed, and the little lessons I learned along the way. I hope you enjoy them.